Ships tomorrow if you order in the next 24 hours 25 minutes. Flora-Norm from Professional Botanicals is a dietary supplement that offers twelve strains of active cultures to support the digestive system. Probiotics are microorganisms that live primarily in the digestive tract and play a role in maintaining an optimal balance of good bacteria in the intestinal system. They may also offer support for the immune system and promote overall healthy digestive system function. 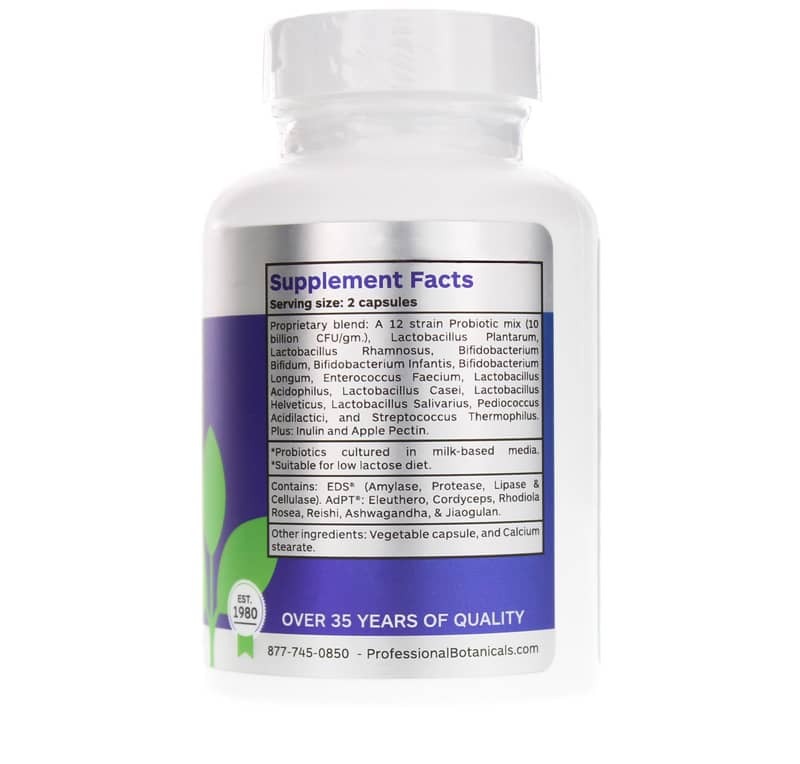 Professional Botanicals’ supplement contains 5 billion CFU of active cultures, incuding Lactobacillus plantarum, Bifidobacterium bifidum, Enterococcus faecium, Lactobacillus acidophilus, and more. It also includes apple pectin and rice powder, as well as an enzyme blend to support absorption and promote bioavailability. 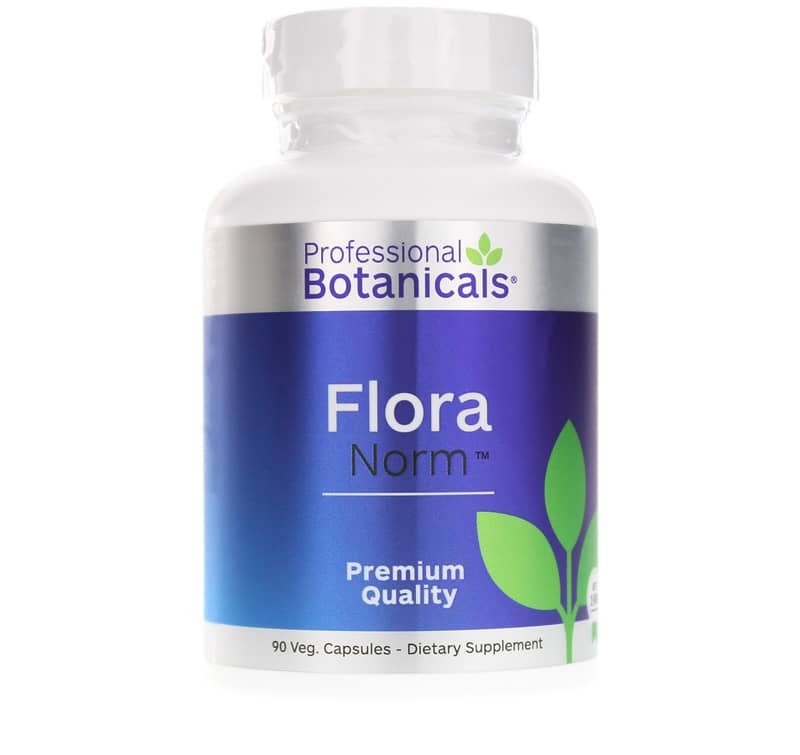 If you’re looking for digestive system support, a probiotic supplement like Flora-Norm from Professional Botanicals may make a difference for you! 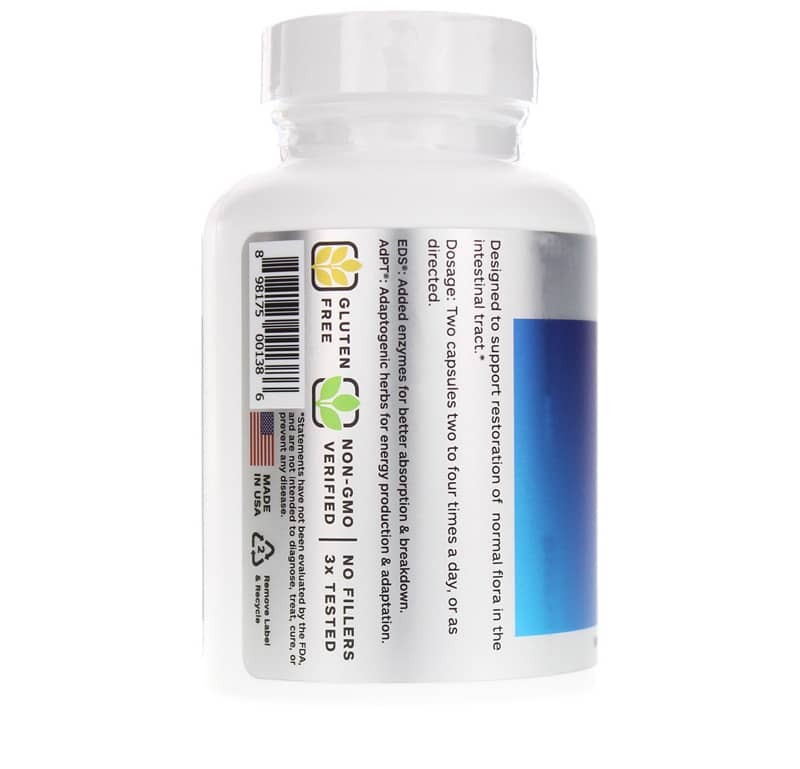 A 12 strain Probiotic mix (10 billion CFU/gm), Lactobacillus Plantarum, Lactobacillus Rhamnosus, Bifidobacterium bifidum, Bifidobacterium infantis, Bifidobacterium longum, Enterococcus Faecium, Lactobacillus acidophilus, Lactobacillus Casei, Lactobacillus Helveticus, Lactobacillus Salivarius, Pediococcus Acidilactici, and Streptococcus Thermophilus. Plus: Inulin and Apple Pectin. *Probiotics cultured in milk-based media. Suitable for low lactose diet. Contains: EDS (Amylase, Protease, Lipase and Cellulase). AdPT: Eleuthero, Cordyceps, Rhodiola Rosea, Reishi, Ashwagandha and Jiaogulan. Other Ingredients: vegetable capsule and calcium stearate. Adults: Two capsules, two to four times a day or as recommended by a healthcare professional.